LiftTrac offers ergonomic lifts for repetitive lifting tasks. There are many lifting products available that have lifting capacities and are mobile, but few are designed specifically to be used continuously, and easily moved and operated. LiftTrac provides complete systems. The lift is battery operated to allow freedom of movement through facilities. The typical LiftTrac lifting mast contains a ball and screw lifting system that allows fine positioning control in a safe system. The lift will only move down while under power. Loads are physically unable to drop allowing safe lifting and lowering. Additionally, LiftTrac offers a series of standard and custom end effectors, grippers, and manipulators to allow easy lifting for most any application. End effectors have been provided for roll handling, barrel handling, palletizing, work handling, assembly operations, lean manufacturing, order picking, and so on. 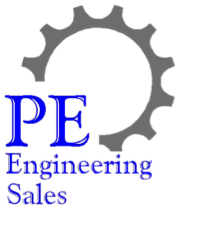 PE Engineering Sales is the Factory Rep for LiftTrac and works directly with the client to determine ergonomic lift system parameters to meet the client's business objectives. Along with LiftTrac, we strive to provide our customers with equipment that satisfies their ergonomic lifting requirements.